The lower sun and winter light gave a touch of gold to the incoming waves at Bandon Beach. at Bandon, Oregon. One is Cat Rock in the Face Rock Legend. 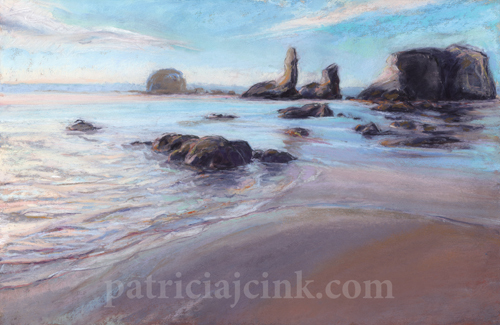 coastal light and ocean tides present them in new ways.